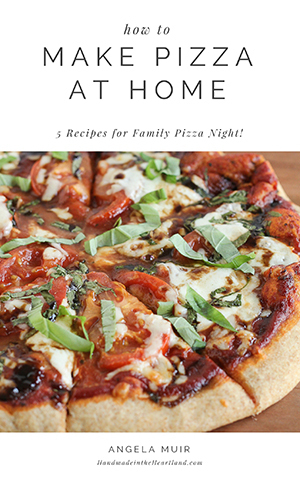 I’m so excited to have share with you a recipe swap today! Helen at helario.us is a fabulous food blogger who i am happy to share my blog with for a day. ðŸ™‚ She lives in Australia and her blog is just fabulous you should def head over to check it out and see my recipe! Also those croissants, ahhhmazing! 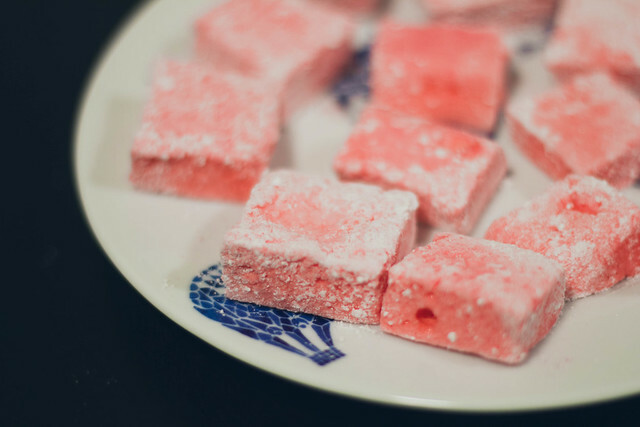 Today she is sharing a recipe for something i’ve been meaning to make forever- homemade marshmallows, awesome. So here’s Helen, Enjoy! Whatâ€™s something sweet, tender and perfectly adaptable for the festive season? Marshmallows! 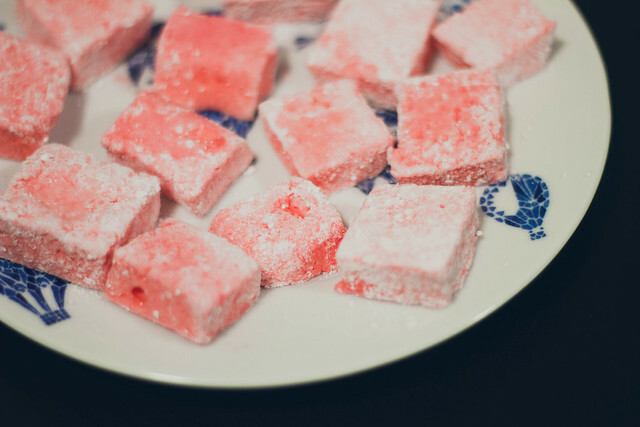 Eat â€˜em straight up, experiment with different colours and flavors or try using them in your other recipes instead of store-bought marshmallows. Thatâ€™s certainly on my to do list next time I make something sâ€™mores-themed! 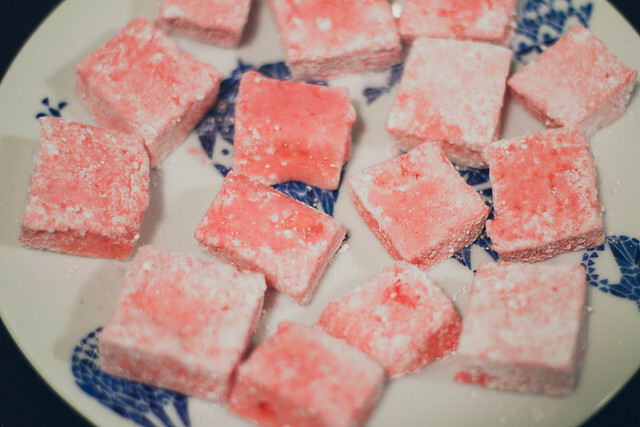 Turkish delight is one of my many foodie-vices, so using something rosewater-flavored was a no brainer for my recipe share with Angela of Handmade in the Heartland. If youâ€™ve never tried making marshmallows before, youâ€™d be surprised at how easy they are to make! And if you didnâ€™t know, you donâ€™t even need an oven – just make sure you have a cooking thermometer handy. Bloom time: at least 6 hours + 24 hours for prime deliciousness! 1. Spray a rectangular baking tray with oil and sprinkle lightly with icing sugar. 2. 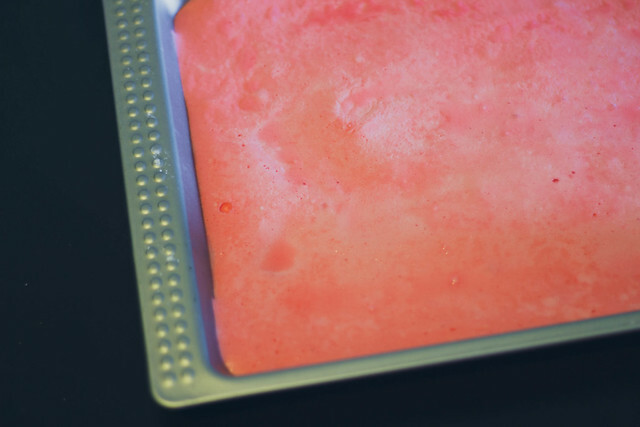 Place the gelatin into a small bowl and add cold water, mix and leave aside for at least 10 minutes. 3. Beat egg whites until soft peaks form. 4. Mix the sugar and salt with the boiling water in a saucepan at medium heat. Continue to let it boil and keep stirring until the temperature reaches 120 degrees Celsius. 5. Remove the saucepan from heat and pour in the gelatin until it has dissolved. 6. Pour the hot mixture into the edge of the bowl of beaten egg whites. Beat the mixture until it has tripled in volume and is no longer liquid-like. This will take approx 10 minutes. 7. Add in the rose water essence and beat in. 8. Add in food colouring and beat until the color is well distributed. 9. Pour mixture into the baking tray, making sure to cover the entire surface area of the tray evenly. Use a spatula to help smooth out the mixture and ensure a flattened surface. 10. Cover with foil and let set for at least 6 hours in a cool, dry place. After the setting time has passed, use a knife to cut up the marshmallow into squares or use a cookie cutter to create shapes – think Christmas trees or love hearts! Dip the cut marshmallows in icing sugar, place on some baking paper and let it set and air for at least 24-48 hours. In the past, Iâ€™ve found that the marshmallows â€˜sweatâ€™ quite a bit after Iâ€™ve cut them, even after bathing them in icing sugar. Due to the â€˜sweatâ€™, they keep incredibly sticky and tender which isnâ€™t the greatest. So this time around, a small tweak proved worthwhile. I recommend that you air them for an extra day on some baking paper. The next day, dust any areas that are still a bit sticky again with icing sugar, then leave to air for a day longer. Have fun getting all mallowâ€™d up! Credit goes to both Marshmallow Madness for helping me with my marshmallow basics, allowing me to tweak and adapt Bon Appetitâ€™s recipe.